These journeys that I go on. I once did a post about Hibs and in that article I mentioned their links to Irvine Welsh and Trainspotting. Rebus (the TV detective) and Bilbo Baggins (the band), oh and a bit of Dusty Springfield in there too. It is all thanks to @DolphinHotel who contributes articles to In Bed With Maradona. 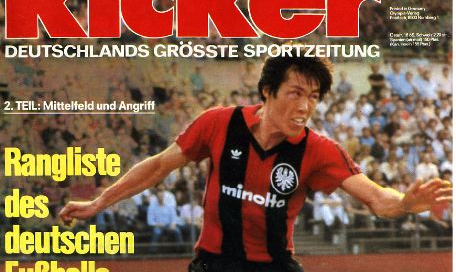 He wrote a piece about a South Korean footballer who was a hit in the Bundesliga and whilst researching for the article found out that there was a German band who named themselves after this player. Cha Bum-Kun (nicknamed Tscha Bum (“Cha Boom”) because of his name & thunderous ball striking ability) as mentioned was a legend in German football. - Read more in his article over on IBWM. – He was banned from Korean football for 5 years for claiming the K-League was corrupt after he got the boot as national coach after their 5-0 thrashing by the Netherlands in the 1998 World Cup. – He has 3 children whose names mean ‘First Kid’, ‘Second Kid (Cha Du-ri, who plays for Celtic), and ‘Third Kid’. There is/was a band who obviously went for a bit of snark by calling themselves: Bum Khun Cha Youth. Now how they came up woth that… here’s one for you: The band’s name is a caricature of Hrubesch Youth, a punk band from the early ’90s who themselves were named after another footballer – Horst Hrubesch, who ironically now coaches the German youth team. The title refers to Hanns-Martin Schleyer, an SS officer who was kidnapped and killed by the Red Army Faction in 1977. 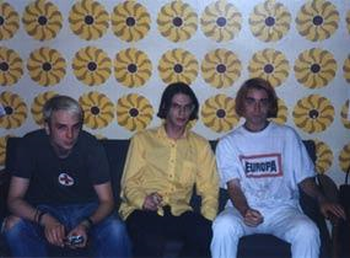 Tracks on the album such as “Starvation against the state” (Hungern Gegen Den Staat) and “Well All Thank You R.A.F.” (Red Army Faction). – A good review of the album here.